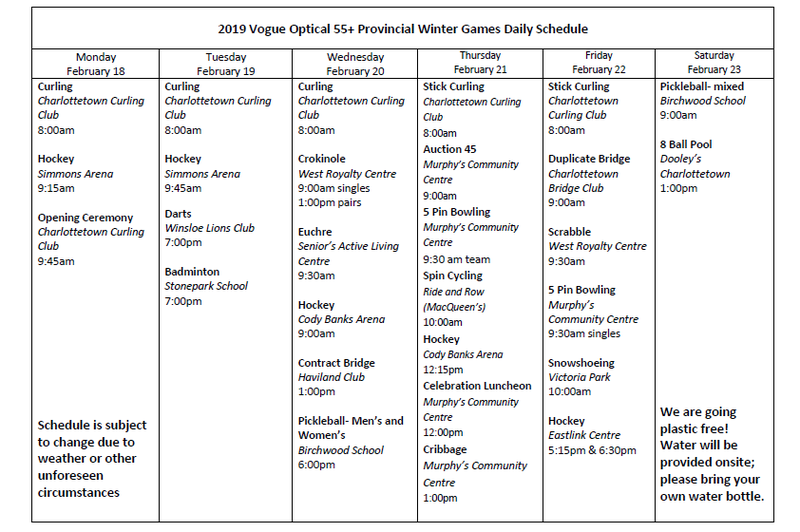 Thinking of participating, volunteering, or coming out to support the 2019 Vogue Optical 55+ Winter Games? Check out the daily schedule below for the times, events, and venues included in this years games! For more information on how to get involved call us at (902)368-6570 or email pei55plusgames@gmail.com.